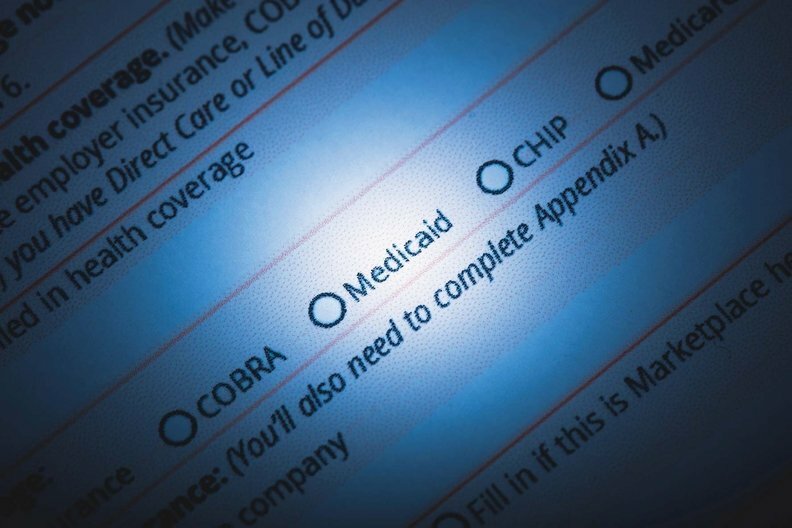 The public isn't sold on the Trump administration's argument that letting states impose work requirements on Medicaid beneficiaries is intended to lift people out of poverty, according to a new Kaiser Family Foundation survey. Forty-one percent of people polled said the goal of the work requirements approved in Kentucky and Indiana and proposed by eight other GOP-led states is to reduce government spending, while 33% said it's to help people leave poverty, the latest Kaiser Health Tracking Poll found. Republicans were almost equally split, with 42% saying it's to cut spending and 40% saying it's to reduce poverty. The CMS approved Kentucky's Medicaid waiver application in January after releasing guidance to help states reshape their Medicaid programs to include requirements for work, job training, education or community service. It subsequently approved a similar waiver for Indiana. The controversial work requirement means able-bodied beneficiaries will have to complete 80 hours per month of community engagement activities, such as employment, education, job skills training or community service to maintain their Medicaid eligibility. "This policy is about helping people achieve the American dream," CMS Adminstrator Seema Verma said last month. The public is even more dubious about another major Medicaid change proposed by five GOP-led states—setting lifetime limits on the total period during which a non-disabled adult can receive benefits. CMS officials say they'll consider whether to allow such limits. Two-thirds of those responding to the Kaiser poll said Medicaid should be available to low-income people as long as they qualify, with one-third saying Medicaid should be subject to time limits. Republicans were almost equally split on the issue—51% in favor of time limits and 47% against. The skepticism about work requirements and benefit time limits may be related to strong public approval of the Medicaid program, which covers more than 70 million Americans. Seventy-four percent of those surveyed hold favorable views of Medicaid, including 83% of Democrats, 74% of independents and 65% of Republicans. The doubts about the Trump administration's policies also may be related to public awareness of the major role Medicaid plays in providing coverage for and access to substance abuse treatment and mental healthcare during the current national opioid addiction epidemic. A new report from the liberal Center on Budget and Policy Priorities found that people hospitalized for opioid-related care were much more likely to have insurance in Medicaid expansion states than in non-expansion states. The uninsured rate for such hospitalizations in expansion states dropped from 13.4% in 2013 to 2.9% in 2015. In non-expansion states, the uninsured rate was 17.3% in 2013, dipping slightly to 16.4% in 2015. The expansion states with the largest percentage drops in the uninsured rate for opioid-related hospitalizations were Kentucky (90%), Oregon (89%), West Virginia (86%), Arizona (84%) and Illinois (83%). It's expected that tens of thousands of low-income adults who have received Medicaid under the Affordable Care Act's Medicaid expansion—including many with substance abuse and mental health treatment needs—would drop off coverage if the waiver work requirements are implemented. Kentucky officials estimate that 95,000 people over five years will leave Medicaid due to the changes. Arizona has submitted a waiver with a work requirement similar to Kentucky's. A number of cities and counties, including Louisville, Ky., Tucson, Ariz., and Chicago, have launched programs to enroll inmates leaving jails in Medicaid to give them prompt access to treatment for substance abuse and behavioral health conditions. Experts fear Medicaid work requirements, along with new premium and cost-sharing requirements, would make it harder to sign people up and get them the treatment they need to avoid reincarceration or death from drug abuse. They say getting people enrolled in Medicaid is complicated enough without imposing more conditions. "After someone has been engaged in treatment, then you can look at employment and education," said Sherie Arriazola, director of healthcare strategy at Treatment Alternatives for Safe Communities in Chicago, who works with people released from jail. "But to require education or work before other needs are met, that's backwards."